This is old—in internet time, at least—but worth a look if you haven’t seen it. Apparently, there's an unkempt breed of first years at Columbia Business School’s investment banking club irking recruiters. 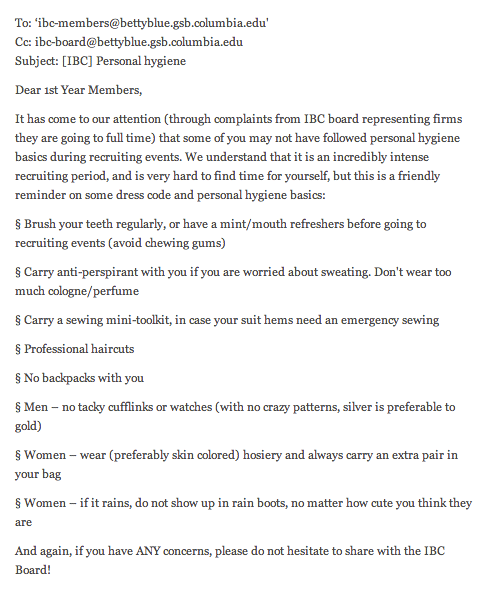 Complaints from the club’s board members prompted senior members to send out the following email last week taking the haggard students to task. Will Knowing Too Much Hurt Your Business School Application?